We specialize in helping companies make well informed decisions about voice-directed workflow solutions. Having been around the block a time or two, we have heard all of the most common misperceptions and objections about voice directed work. We listed them below along with how you may be missing some or all of the facts. Truth: Arguably the most important success factor of a voice picking solution is the accuracyof voice recognition. This objection is a legitimate concern for some voice-directed work solution offerings – those that use speaker independent recognizers. It is not for premier voice-directed solutions like those from Honeywell-Vocollect which use speaker dependent voice recognition. With speaker dependent recognition, each user trains their own voice template. It takes about 20 minutes and is well worth it. The result: Optimal recognition and hence optimal worker productivity and satisfaction, along with the ability to accommodate an infinite number of accents, dialects and languages in any workforce. Truth: As above, this can be a legitimate concern for some voice directed work solution offerings but it is not for Vocollect voice based solution. The industry’s leading built-for-purpose wireless headset by Vocollect incorporates three microphones and its recognition software filters out background noise. No warehouse in the world has proven too noisy for Vocollect voice. It is used reliably by more than 500,000 workers in DCs worldwide each day. Truth: This is one of the most common misunderstandings about voice picking systems. Premier voice directed work offerings include a middleware package that does far more than act as an enterprise host connector. For example, Vocollect VoiceLink can reorganize work assignments for batch picking and provide rich labor and productivity information. It only needs to receive order information which can be passed down from an ERP system or a basic order management system. In fact, if you don’t currently have a WMS in place, you have even more reason to look at voice. Voice can deliver many of the operational benefits companies often seek from a WMS – for a lot less money and with a lot less time to implement. Truth: Simply put, voice can work with your old WMS and it will work with your new WMS. So, why delay the savings and all of the benefits delivered by voice? A WMS upgrade or rollout can take 18-24 months to execute after a decision is made. Voice typically pays for itself in less than 12 months, and it only takes a few months to implement. So, think of it this way: The savings voice will generate will not only pay for itself; it will also help you pay for that new or upgraded WMS. For a nominal cost, voice can be integrated with your new WMS. This will yield yet another benefit: your voice-enabled workers will never know anything changed. They will continue to work with optimal productivity and accuracy. Truth: The IT bandwidth required to implement a voice-directed work solution is dependent upon the type of integration needed. Some enterprise connectors require extremely little IT effort, so do not assume. Seek the expert advice of an experienced voice directed work solution provider. Truth: The ease of a voice implementation and go-live is a very pleasant surprise to many customers. An entire voice project typically lasts from three to five months - much less than that required for a WMS project. The IT Director of a Speech Interface Design customer went live with voice at two of his DCs in just four months, “it was as flawless an implementation as you can have for a brand new system.” Choose an expert voice directed work solution provider to realize the value of them working as an extension of your team. Truth: The first question is: “Did you do it with the help of an expert or did you do it on your own?” Expert help is available at no cost. Why not take advantage of it? And, just as voice technology offerings are very different, so are voice directed work solutions providers. If the one you had earlier engaged was not experienced and provided an Industrial Engineering strength Value & ROI Analysis, you could be missing out on a real opportunity to achieve meaningful improvements to your operation. Truth: As we assume everyone is ready to become more profitable while increasing their customer service levels and the satisfaction of their DC workforce, this one is mystifying to us. Why do you feel that you are just not ready for voice? We can only assume that it is their way of saying that today they direct their DC pickers with paper pick lists and do not yet have a paperless operation using RF devices. And, that to them, voice is a technology would only follow RF. These folks should talk to almost every major grocery retailer in the world who moved from paper based picking directly to Vocollect voice directed picking. Why? They realized the RF devices would slow their pickers down. Not being able to afford that tradeoff, they embraced voice, first for case picking in their freezers and then their dry areas. And, then for each picking in their HBC (Health & Beauty Care) areas. Most systems paid for themselves in well under 12 months based exclusively on accuracy improvements. The bonuses were that productivity also increased and new employee training and ramp up times were dramatically reduced. Are you not ready to realize such benefits? 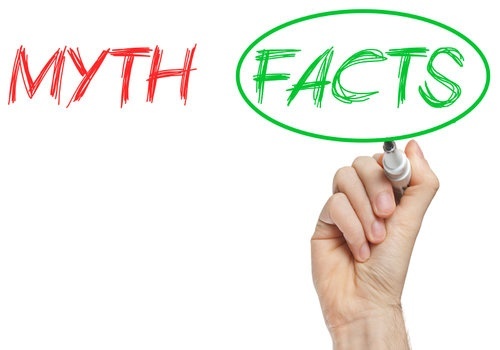 Don’t miss out on all the benefits of voice because of these or other myths or unfounded objections. Be sure to engage an experienced solution provider to get all the facts and help you make a truly well informed decision about voice. Your team and especially your boss will be glad you did.